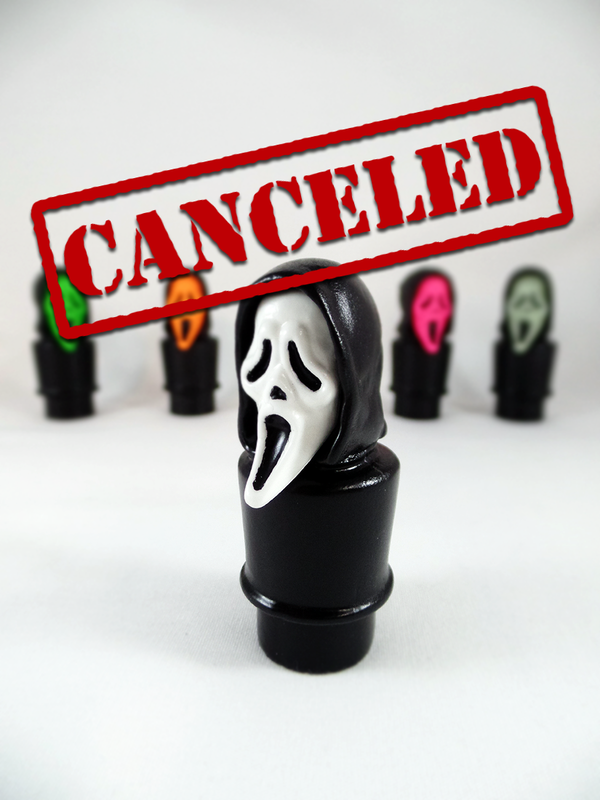 Shortly after the announcement of the figure, I received an email from someone (we’ll call him “Joe”) close to R.J. Torbert, the Director of Licensing at Fun World, the company that owns the Ghostface/Scream Mask license. “Joe” advised against me proceeding with the release of the figure as Fun World does not take kindly to perceived infringement of their intellectual property especially if there is to be any monetary gain. I took this as a heads up from “Joe” saying that if I proceeded, the next step would be a cease and desist letter. So, I pondered my options. I could release the figure and take my chances that a large multinational company like Fun World would even bother with litigation over such a small case. If they did, I feel that I could raise a strong enough legal case for “fair use” of the Ghostface likeness based on the figure being a parody or even a social commentary. However, as I have never been down that path before and don’t exactly have money lying around to line up a defense attorney, I reconsidered and decided to shelve the figure. I’m sorry to disappoint any of you looking forward to the figure but such is life. Art goes on. There will definitely be more Kill People bootleg figures from Jack’s Attic. Stay tuned. That is such a bummer!!!! So stoked on your kill people figures, I can’t believe they won’t let you make ghost face. I guess take it as a compliment you’re getting big enough for a company to notice and threaten you?